Sahib and the Crew Save the World: Hijab for You, Hijab for Me, Hijab for Everybody! 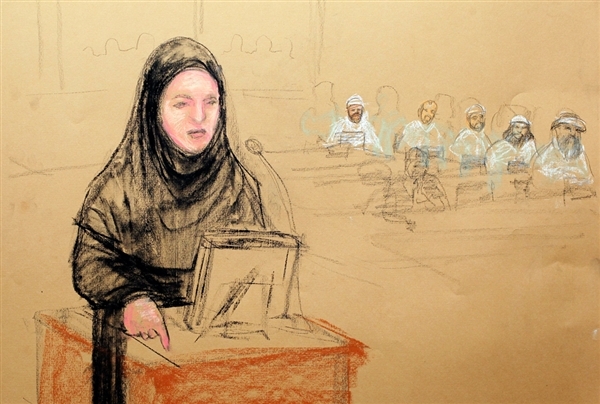 A defense attorney is asking a court to FORCE all women in the courtroom to wear hijabs. Read that statement again. A defense attorney is asking an American court to FORCE non-Muslim American women to dress in a manner consistent with the Muslim non-American DEFENDANTS' religious beliefs. Oh by the way, did I mention the defendants in these proceedings are the guys accused of planning the 9/11 killings of nearly 3,000 American citizens? Yes, these are the preliminary hearings for KSM and his band of murderous thugs. Defense attorney Cheryl Bormann, a non-Muslim, feels that typically clad American women would distract her clients and might cause them discomfort. Yes, Ms. Bormann. Anything we can do you make your clients more comfortable, you just let us know. You can read the Fox News article on the other courtroom antics of KSM and his all-girl review here. Keep in mind. Dear Leader Obama and his moronic AG Eric Holder wanted this circus held here in the US. They wanted America on trial. Might I suggest that more appropriate attire for the courtroom might be Lady Gaga's infamous meat dress (as long as it's pork) or perhaps the Muhammed mascot outfit from the Fightin' Prophets of Madrassah High! You know what, on second thought how about we just drag these murderous scumballs out back and put bullets in their filthy, disgusting skulls. Problem solved. Of course! This shouldn't be a surprise to anyone!! They want all of us to change for a few! You know-like those 6 people who want "don't say god in my presence"! I'm just surprised Holder himself didn't demand it!! It's a circus as predicted. Just think, this might have been tried in a civil court in NYC if Holder and the Obama admin had gotten their way. Can't you imagine the lunacy that would be going on outside the courthouse had that happened? On second thought, it might have played into the Republicans' hands. What's happening in GITMO will still be made public...so it could still work in the GOP favor. Dhimmitude, right here in the U.S. of A. It's not pretty, is it? I'm tempted to organize a gaggle of women to wear bacon bikinis and turbans with cartoon images of Mohammed prominently displayed on top, and parade in front of the courtroom. 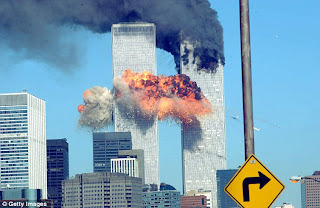 Can you imagine if these defendants were Christians (I know, we don't typically blow buildings up, but pretend we do) and the women in the courtroom were asked to dress modestly? Heads would explode over the patriarchal theocrats' attempts to subjugate women.